This is really quick and easy, no cooking on the stove at all, it is all cooked in the oven. I've used fresh shiitake mushroom instead of chestnut mushrooms, and did not have any fresh thyme, so I've used what I had, fresh coriander stalks. Shallots are peeled and quartered, then toss with some oil, thyme, salt and pepper in a large roasting tray. Bake for 30 minutes, then add the garlic, mushrooms and balsamic vinegar. Into the oven for another 15 minutes. Then add the risotto rice, stir to coat the rice, then add the stock. Return to the oven for another 30 minutes, stir once halfway through. Let stand 5 minutes before serving. I must say that this is quite a tasty rice meal. The rice is drizzled with some chilli oil before serving. Even though the risotto is good as it is, but it is even better with the chilli oil. I've used my homemade chilli oil. This is such a simple, tasty and filling meal. The next featured chef at IHCC is Ina Garten. 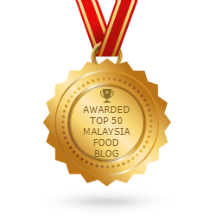 We will be cooking from her recipes for the next six months starting from Oct 2nd. 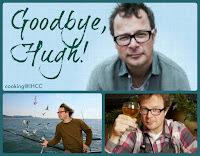 Everyone is welcome to join us, you can get the full details here. Preheat the oven to 180C/Gas 4. Put the oil, shallots, thyme and some salt and pepper in a large roasting in and toss together well. Roast for 30 minutes, then add the garlic, mushrooms and balsamic vinegar. Stir well and return to the oven for 15 minutes. Let the risotto settle for 5 minutes, then taste and add salt and pepper as needed. Spoon into warm dishes, removing the thyme stalks as you go. Serve, trickled with the chilli oil. 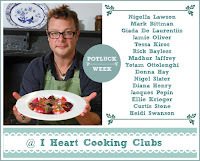 This week is Potluck week at I Heart Cooking Clubs. I've made a simple and lovely crustless pizza from Nigella Lawson, recipe from her book Nigella Kitchen. I made it for our lunch with some green salad. The bottom layer is a mixture of egg, flour, milk and grated Cheddar cheese, which is baked for 30 minutes, then topped with the topping. The topping are slices of pepperoni and sprinkling of more Cheddar cheese. Back into the oven for about 2 or 3 minutes until the cheese melts. This is easy, simple and delicious. It is one of those meals that would be perfect for sharing with friends. 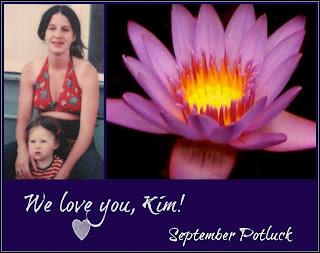 This week's Potluck is dedicated to Kim, one of our co-host at IHCC, who has recently lost her mom last week. Her mom was a great supporter of Kim's cooking and blog. Kim, I hope that your pain and grieve will lessen over time, and the memories of your mom will bring joy and smiles as she is being fondly remembered. Sending a big hug to you, my friend. Preheat the oven to 400F. Beat the egg with the flour, salt, and milk to make a smooth batter. Grease a round ovenproof pie dish, then stir half the grated cheese into the batter, before pouring it into the dish. Bake for 30 minutes. Take the dish out of the oven, sprinkle with the remaining cheese, and add the chorizo or pepperoni (is using) - or anything else, now, too. Return to the oven and cook for another 2 or 3 minutes to make sure it's heated through. Once the cheese on top is melted and looks burnished with gold on the crustless pizza, take it out of the oven and serve, cut into slices. A green or tomato salad on the side would not be a bad idea. I'm currently obsessed with cooking from Every Grain Of Rice by Fuchsia Dunlop. Each recipe I've tried is delicious. 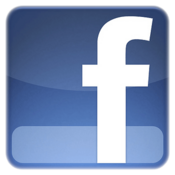 Almost all of the recipes are simple and doable, with easy to find ingredients. She has provided some alternative ingredients for some of the recipes, which is really helpful. This dish, Cold Chicken with Ginger and Spring Onion is such a simple dish but very tasty. We love this dish! Best used deboned chicken thigh, but I have used a mixture of chicken breast and thigh meat. This is made with cold cooked chicken. If you do not have any, you can poach the chicken in water with a piece of smacked ginger and a few spring onion whites, simmered for 30 minutes, or until the chicken is cooked. I added some salt to the poaching liquid. Remove the chicken and rinse in cold running water. Then allow to cool. I used the poaching liquid (which is very tasty! ), to make a simple tofu soup. Cut the chicken meat into small bite-sized pieces and arrange on a serving plate. Scatter with chopped ginger and chopped spring onion. Heat some cooking oil until sizzling hot and spoon it over the ginger and onion. The sizzling sound is essential! If it doesn't sizzle, then the oil is not hot enough. Have some soy sauce diluted with some water and pour this over the chicken. Serve. This method is similar to the one she used to cook steamed fish, which I've made here. We had this with rice and there's no leftovers. Delicious! Or get the book, Every Grain Of Rice by Fuchsia Dunlop, on page 50. 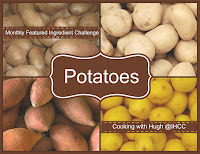 This month's featured ingredient/dish at I Heart Cooking Clubs (IHCC) is Potatoes! I'm visiting the recipes from Madhur Jaffrey this week, and made her Green Bean and Potato Curry. Madhur Jaffrey describes this dish as "This is a simple curry to be served with rice, pickles and chutneys". There's some Sri Lankan Raw Curry Powder used in the recipe, but not to worry, she has included how to make this curry powder at home. It is really simple and does not take up much time at all. The spices used : coriander seeds, fennel seeds, cumin seeds, fenugreek seeds, fresh curry leaves, desiccated coconut, raw rice and brown mustard seeds. I have all the ingredients in my pantry and the curry leaves from my garden pot. These spices are supposed to be put into the oven at low temperature for one hour. But I have toasted them in a saucepan over the stove until fragrant and the curry leaves are dry and crispy, which takes about five minutes. Let the spices cool, and grind as finely as possible in a dry mill. Grind as finely as possible. It smells really good. To cook the curry, the cubed potatoes are first boiled in some water which is added a pinch of turmeric, for a few minutes until the potatoes are almost done. I have skipped this part, and added the potatoes along with the green beans during cooking. Also I have added some hard-boiled eggs, peel and add to the curry along with the veggies. Other ingredients used ; chopped onions, garlic, ginger, fresh green chillies, cinnamon stick, lime juice and coconut milk. This is a simple and mild curry. Both the hubby and son thought that this curry is tasty. We ate this with rice, and I'm glad I've added the hard-boiled eggs. In a medium pot, combine the potatoes, enough water to cover them well, and 1/4 teaspoon turmeric. Bring to a boil. Cover partially, turn the heat down a bit, and cook until the potatoes are almost done but still hold their shape well. Drain. (I have skipped this step, adding the potatoes along with the green beans). Put the oil in a large saute pan or frying pan and set over medium-high heat. When hot, put in the curry leaves. Ten seconds later, put in the shallots, garlic, ginger, and green chillies. Saute for 2 to 3 minutes. Put in the green beans (and potatoes) and saute for another minute. Put in the curry powder and stir once. Now put in the coconut, 1 cup of water, the remaining 1/4 teaspoon turmeric, cinnamon stick, salt and potatoes (and eggs). Stir and bring to a boil. Cover, turn the heat down to low, and cook about 15 minutes, or until the beans are just tender. Add the lime juice and stir it in. Preheat the oven to 150F, or the lowest temperature setting. Spread the seasonings out on a tray and put them into the oven for 1 hour. Cool. Transfer to a clean coffee grinder or other spice grinder and grind as finely as possible. Store in a tightly lidded jar away from heat and sunlight. (I toasted the spices in a dry saucepan over the stove on a low heat until the spices are fragrant and the curry leaves are dry and crispy). Originally, this recipe is Beef with Cumin, but I have replaced the beef with pork fillet. This is a simple and quick stir-fry. The meat are sliced into thin bite-sized pieces and then marinated with Shaoxing wine, salt, light soy sauce, dark soy sauce and potato flour. The pork slices are then stir-fry briskly in some hot oil in a wok over a high flame until the pieces separated, then remove to a plate and set aside. I stir-fry until the meat are cooked. Heat some oil in a wok, add the chopped garlic and ginger, stir until they are fragrant, then add the sliced red and green peppers, continue to stir-fry until hot and fragrant. Return the meat slices to the wok, give a good stir, then add the cumin and dried chillies, When all is sizzling and smells delicious, toss in the chopped spring onions. Remove from heat and stir in some sesame oil. This is a delicious dish! So fragrant from the cumin and so very tasty! We really like this dish, delicious as part of a meal with white fluffy rice. This is another fabulous bread from master baker, Dan Lepard, taken from his wonderful book, Short & Sweet. A fantastic book with bread, cakes, cookies, desserts recipes. I have made several recipes from this book and have great results. Double Cheese and Chive Loaf recipe is one of the variations from his basic White Farmhouse Tin Loaf recipe, where he has added Parmesan and Cheddar cheese, with some chives, to make an entirely new bread, resulting in this fabulous tasty loaf. He has other variations which you can find from guardian.com . Instead of kneading the dough like you usually would, Dan Lepard uses his easy method of fold, push and turn, which is repeated at 15 minutes interval, thrice. A good idea to get this book to learn about his simple method and other tips, plus tons of fabulous recipes! I reduce the salt to half teaspoon, taking into account of the salty cheeses used. For the chives, I have used Chinese garlic chives from my garden pot. The bread bakes to a lovely golden brown and rises beautifully. With moist, soft crumbs and tastes just fabulous, good to eat on its own. We had this loaf as a sandwich bread with slices of ham. The holes where the diced Cheddar has partially melted. Nice! The recipe can be found at guardian.com, with some other variations as suggested by the author. Get the sponge ready by pouring the warm water into a mixing bowl, stirring in the yeast and adding 175gm flour. Stir it together, cover the bowl and leave for 2-4 hours, or even overnight. When you're ready to make the dough, put the second batch of flour into a bowl, add the salt and rub the butter through until it vanishes, so there are no little lumps floating around. Add the grated Parmesan, diced Cheddar and chives. Pour in the yeast batter, mix the whole lot up into a big sticky clump of dough, then scrape the bits off your fingers, cover the bowl with a tea towel and leave for 10 minutes. Knead the dough (fold, push and turn method), repeating after 15 and 30 minutes, then cover and leave for a further 30 minutes. Butter and flour a large deep loaf tin, about 19cm long. Lightly flour the work surface, roll the dough into a rectangle 2cm thick that measures (from left to right) slightly less than the length of the tin; roll it up tightly and place seam-side down in the tin. Cover with a tea towel and leave until increased in size by half. Heat the oven to at least 220C/200C fab/425F/Gas 7, thouogh if you can get it 20C hotter even better. Steam the oven if you like , dust flour over the dough with a small fine sieve or tea-strainer, slash the loaf down the centre about 1cm deep with a sharp blade or sharp serrated knife, and bake for 20 minutes. Reduce the heat to 200C/fan 180C/390F/Gas 6, and bake for a further 20-25 minutes until the crust is the colour you like. Theme for this week at I Heart Cooking Clubs (IHCC), is Slide Into September ! As our friends in the US and some other parts of the world is entering into fall, with the summer season ending soon, it is time to use up the extra produce from the summer harvest. I am not familiar with which veggies are grown in each season, I googled for info and read that cabbage is a late summer-early fall harvest. As we are in the tropics, our cabbages and other veggies are grown whole year round, mostly in the highlands, where the weather is cooler. So our cabbages and other veggies are available throughout the year. This is a simple, easy, affordable and quick soup to make. It is light and tasty. We do love veggie soups like this. I have cooked veggie soups like this often and most of the time with stock made from simmering dried anchovies. But for this, I have used Rapunzel organic veggie broth cubes. For the cabbage, I have used our local Chinese cabbage (Napa Cabbage), which is sweet and great in soups. I have never used caraway seeds in a soup before, and was surprised to see it being used in this recipe. I find that I like it very much. The other ingredients are chopped onions and sliced carrots. I made this soup for dinner as part of a meal with white fluffy rice, a vegetable stir-fry and a chicken dish. We like to end our meal with a bowl of clear, light veggie soups such as this. Heat the oil in a large saucepan over a medium-low heat. Add the onion along with a pinch of salt, cover and sweat gently over a medium heat for 7-10 minutes or until translucent and softened. Add the carrots and caraway seeds to the pan and stir until well combined. Cook, covered, for a further 3 minutes or so. Add the cabbage, stir well and then pour over the veg stock and season with pepper. Bring to a gentle simmer and cook, uncovered, for about 15 minutes or until the carrots and cabbage are both tender. Taste and add more salt and pepper as necessary. Ladle into warmed bowl, making sure everyone gets a share of the caraway seeds, which tend to drift to the bottom of the pan. Give each bowlful a swirl of extra virgin oil and serve. I Heart Cooking Clubs (IHCC) is having a Potluck this week. I've made Nigella Lawson's, Roast Chicken with Lemon, Rosemary, Garlic and Potatoes, from her book "Simply Nigella". In the book, she says that "I am back to familiar territory with this ; the smell of chicken roasting with lemon, rosemary, and garlic has always seemed to me the essence of all that is comforting. But this version is so sprightly and robust that I feel it uplifts as it soothes; it is good-mood food, and good-mood cooking, too. You just throw everything in the pan with brio and let it roast away merrily". Instead of roasting a whole chicken, I have cut the chicken into eight quarters. And I've used dried rosemary. I've used two lemons as indicated in the recipe, but the next time I will use only one, as I find that the lemons makes this roasted chicken a little too sour. And I've used two heads of garlic instead of one. This is one super easy meal to prepare, just put everything in the pan and let the oven do the work! Overall, this makes a nice roasted chicken meal. Moist, tasty tender chicken and always a favourite in our house, potatoes. Preheat the oven to 425F. Get out the biggest roasting pan you have, and pour all but a teaspoon or so of the oil into it. Throw in the chopped rosemary needles and the garlic cloves. Trim the leeks and cut each in half lengthways, then slice into half-moons and drop these leek curls into the pan, too. Cut the potatoes into 1/2-inch slices, then cut each slice into 4, or just halve them if the potatoes are small, and add these to the pan. Quarter the lemons, then cut each quarter in half, take out as many pips as you can without exerting yourself unduly, and toss the lemon quarters into the pan. Now schmoosh everything to mix, and then make a space in the middle of the pan for the chicken to sit in. Untruss the chicken, place it in the reserved parking space, pour the tiny bit of remaining oil on top of it, and sprinkle sea salt flakes on top of the chicken only. Place in the oven for 1 hour and 10 minutes, and if the juices of the chicken run clear when you push the tip of a knife into the joint where the thigh meets the body, remove the chicken to a board to sit, letting the juices from its cavity spill back into the pan as you do so, then put the potato mixture back in the oven for 10 minutes until soft and golden. If the chicken needs longer, keep everything in the oven until the chicken's cooked. When it's ready, and the chicken has rested, either carve it or cut into joints as wished - I find the chicken goes further if carved. If you don't want to serve the lemony, garlicky potatoes from their pan, transfer them to a serving plate or dish and sprinkle with 1/2 a teaspoon or so of finely chopped rosemary needles and sea salt flakes to taste.